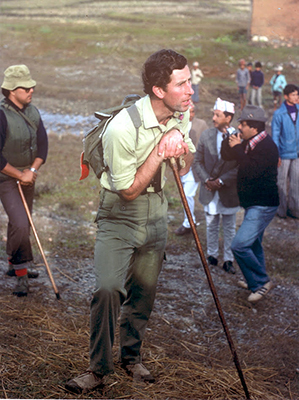 HIGH ROAD: Prince Charles on a trek below Annapurna II in 1980, along a trail that has come to be known as the 'Royal Trek'. The son of the assassinated president was traveling in India and Nepal with a college friend on a post-university gap year in 1984, keen to see how the other half lived and to experience the social realities of the subcontinent. I had been asked by Indian friends to take care of him in Nepal, where he hung out in the Khumbu, Kathmandu and Tiger Tops. “I look on these as my fondest days,” John wrote to me afterwards, even though it turned out to be a sad time for the extremely courteous, extraordinarily good-looking, 23-year-old. Sherpa runners were sent to relay the tragic news. John aborted his trek and left early. 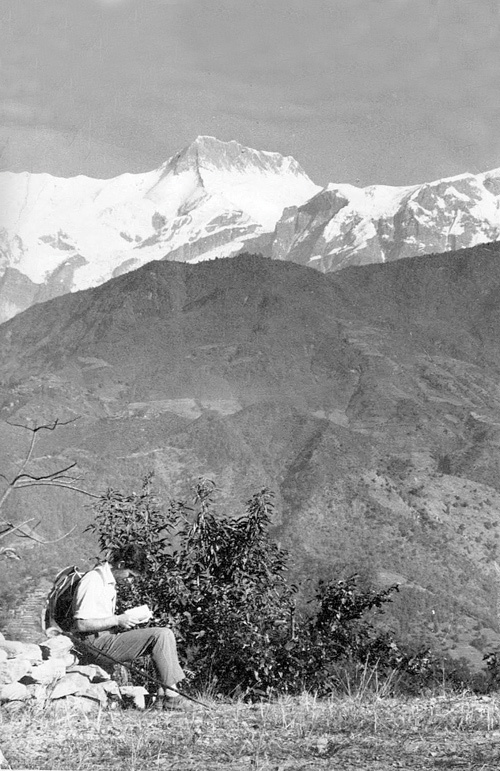 Princess Margaret’s son, David Linley now Lord Snowdon, had visited Nepal the previous year, this time sent by mutual friends from London. Quietly humorous and unfailingly polite, he sat in my garden under the lychee tree discussing his future and gingerly patting Hodgson, the inherited street dog whose liver-coloured coat suffered from chronic mange despite his grand historic name. After several weeks trekking though the arid landscape of Ladakh, David was enjoying Nepal’s lush green vegetation. I like to think that our meanderings through the Darbar Squares and bazar lanes, witnessing the wood carving skills of the Valley’s Newar artisans, inspired David in his career as a maker of fine furniture. Being a Hindu kingdom, Nepal had many royal visitors, especially from Britain. Prince Charles has twice trekked in the Annapurnas, his route lined with welcoming villagers, clamorous Damai bands and security personnel disguised as trees. 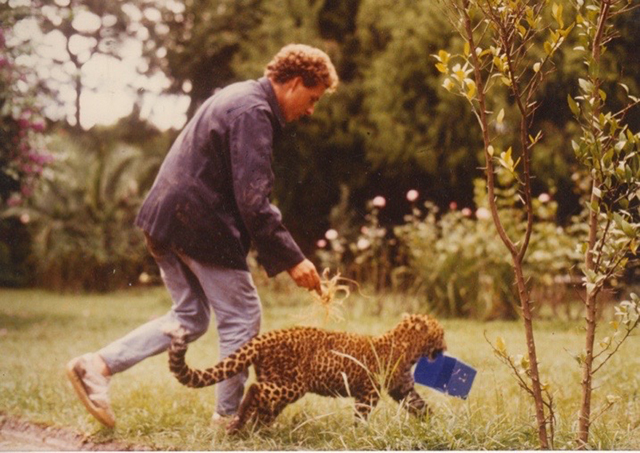 I recced the first Royal Trek route in 1980 with Pertemba, one of Mountain Travel’s star sirdars, then escorted the press pack down from the hills to ensure the Prince of Wales was left in peace to paint watercolours of the “gin-clear” mountain views. 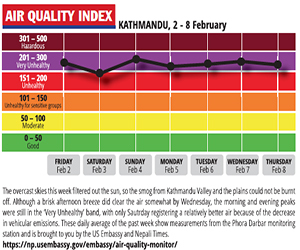 Only the murder of John Lennon knocked the Nepal story off the front pages. His second trek followed the India visit where Princess Diana was photographed perched alone and forlorn on a marble bench in front of the Taj Mahal. During my first decade in Nepal it was unheard of to speak of the ruling King Birendra in anything but the most deferential and respectful terms, a remote and unattainably powerful figure who was seldom seen, forever solemn and always shielded with dark glasses. Even amongst consenting adults in private, we always referred to him as “His Majesty”. The only occasion during his lifetime that I visited Narayanhiti Palace was after lining up with the customary public devotees to be blessed with a tika one distant Dasain. The line snaked down Darbar Marg, but I was undeterred. Once we entered through the towering iron gates, royal aides ushered the disconcerting foreigner to the front to the queue, despite my embarrassed protestations. When the moment came, Gopendra Bahadur Shah, last Raja of Salyan, who was retained as court photographer, favoured me with a picture that for years hung framed in my office. 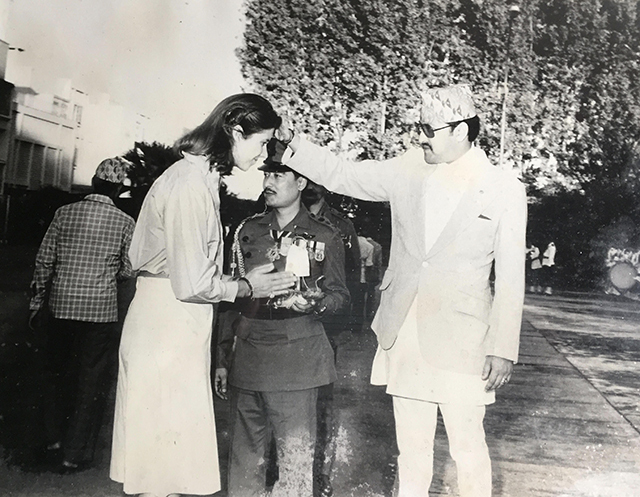 Lisa receiving tiika from King Birendra during Dasain. There are not many things that I regret in a life characterised by seized opportunities, but one of them is declining to help John J Kennedy, Jr cash his mother’s travellers cheque. 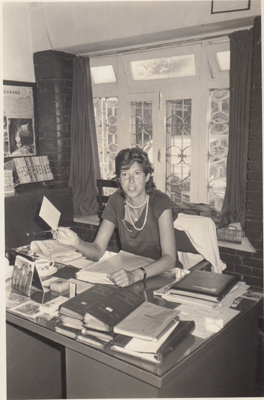 The Kathmandu banks would not accept it of course, but for only $20 I could have owned a cheque signed by Jacqueline Kennedy and mistakenly countersigned Jacqueline Onassis.